Richie Power replaces his brother in the Cats' forwards line. KILKENNY BOSS BRIAN CODY has made three changes to his team ahead of Sunday’s Allianz Hurling League final IN Thurles. Cody and his selectors have opted to continue with their rotation policy and many big names have been left on the Cats’ bench. Joey Holden comes into the side at wing back with Padraig Walsh pushing into midfield where he will partner Michael Fennelly. Jackie Tyrrell will wear the No.6 shirt this time around with Brian Hogan dropping to the subs bench. Walter Walsh also drops to the subs bench with Richie Hogan moving from midfield to the half forwards line. Fit again Richie Power replaces his brother, John, at corner forward​. Eoin Larkin has recovered from wrist injury sustained in recent club game and is named among the substitutes for the final. 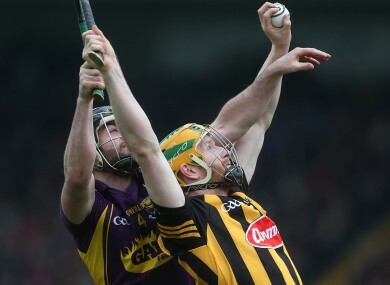 Email “Power and Tyrrell return to Kilkenny starting line-up for Allianz Hurling final”. Feedback on “Power and Tyrrell return to Kilkenny starting line-up for Allianz Hurling final”.